Commodity Market is not open today, because of that today is international holiday. But Commodity markets will open after 5 pm. All Traders & investors be wondering what position will run gold silver today. Actually MCX Gold was closed levels of 26895 with down 256 Rs, while Silver MCX Previous closed at RS 44854 with lower of 430 Rs against the last closing. Arriving in the U.S. consumer confidence figures. Additionally, the Federal Reserve's two-day meeting is about to begin. In the fact both metals will be open positive (green) side. 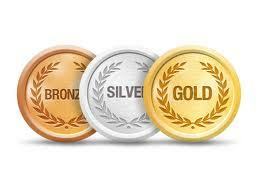 We are expected MCX Gold will open near to 27,000 and Silver will be near to 44,900 to 45,000. You can buy both precious metals when it opens.